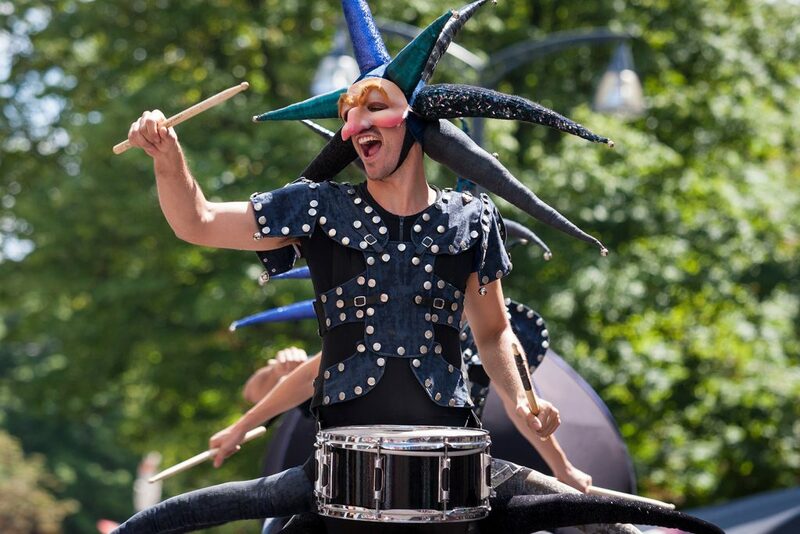 Tam Tam is a travelling street parade where six synchronized shocking characters go moving to th e powerful rhythm of the music. 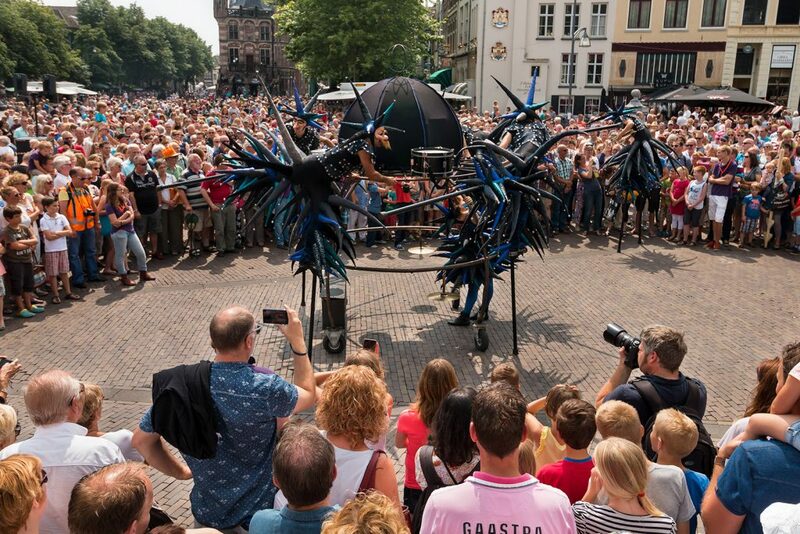 It is the sound, voice and movement together with a direct interchange with the audience as well as the amount of energy displayed what amazes people from all ages. 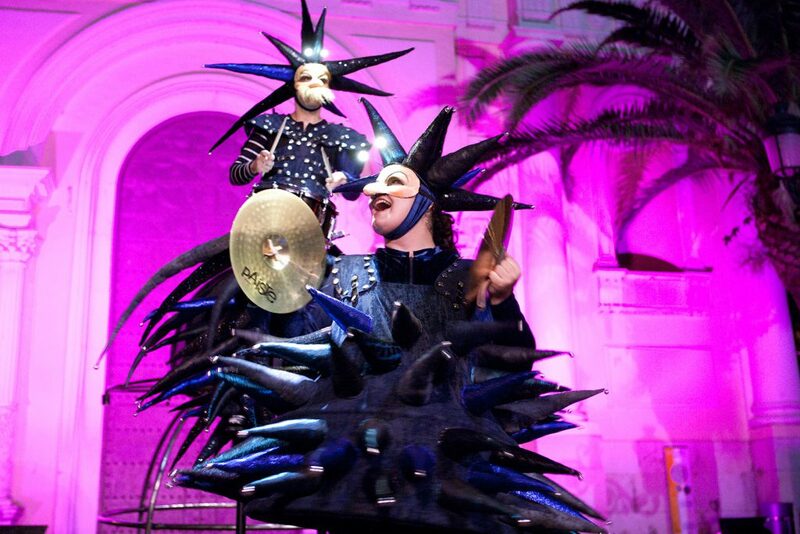 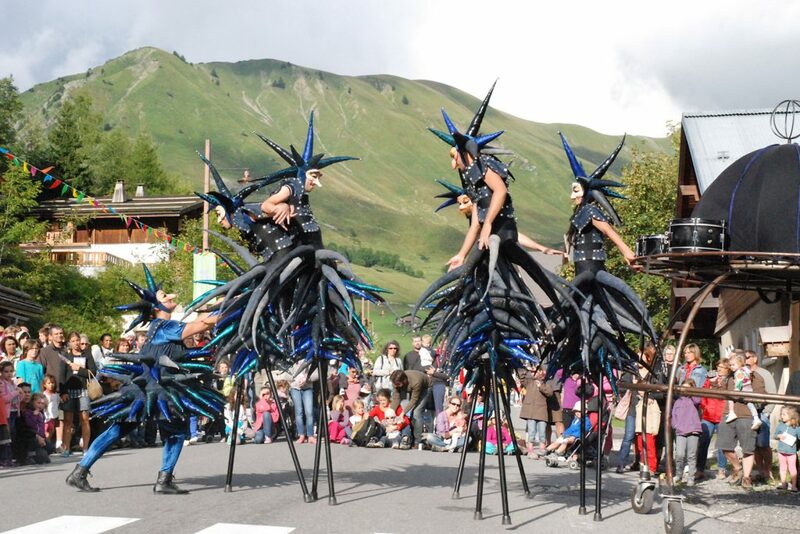 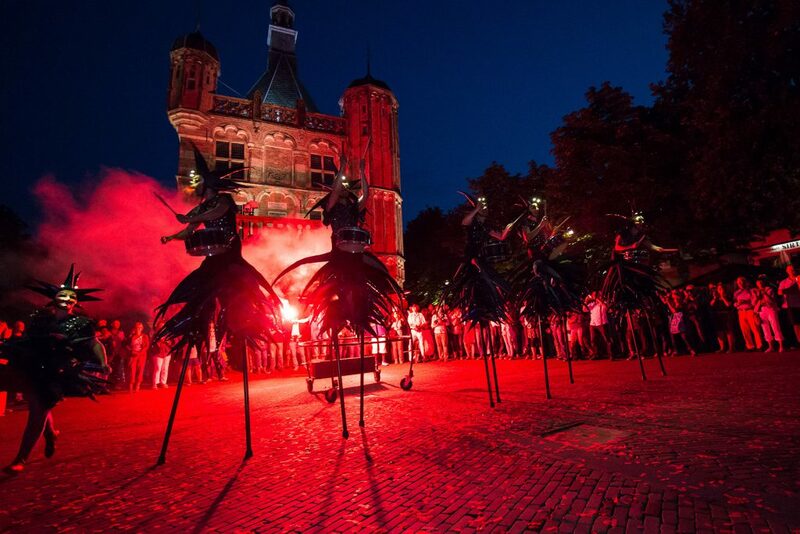 The use of giddy stilts together with the original wardrobe makes Tam Tam a visible show aimed to a huge amount of people. 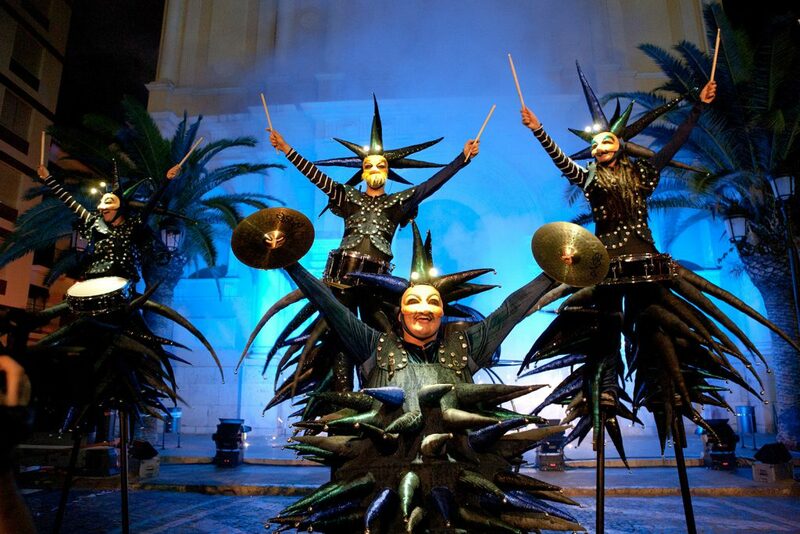 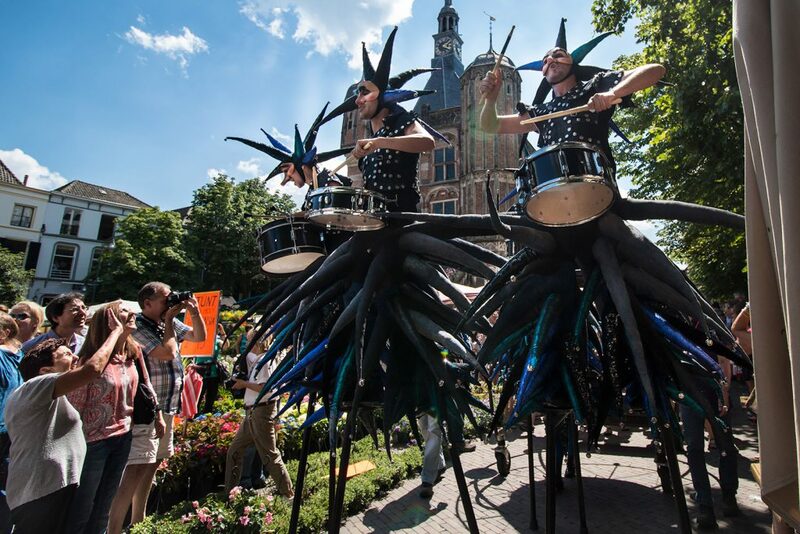 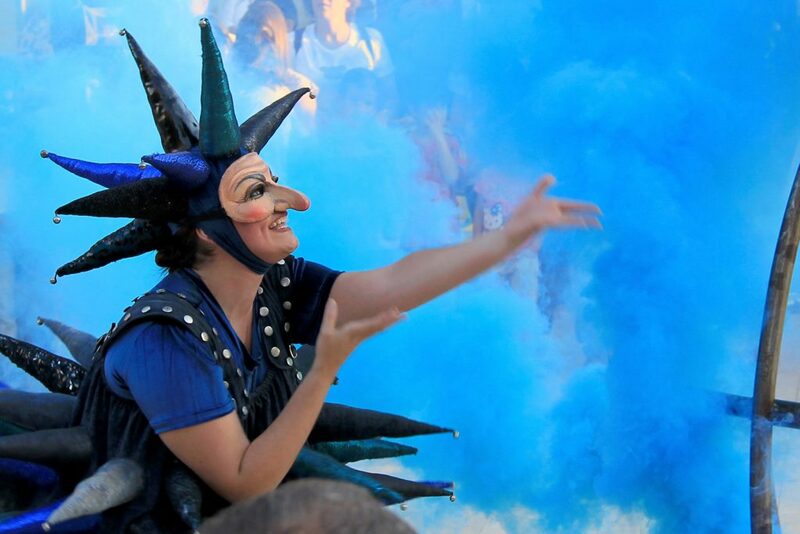 In addition to this, Tam Tam could be performed as a travelling street show or as any other parade.